Tragus piercing is one of the best known famous ear piercings in the world, to say the least. But does this fashion procedure, cause pain or migraine? The truth is different types of piercings inflict varying measures of pain. Fortunately, we have got you covered with everything to know about Tragus piercing including what to expect, the time it takes to get it done, how to easily get over the pain and more. Read on to find out. 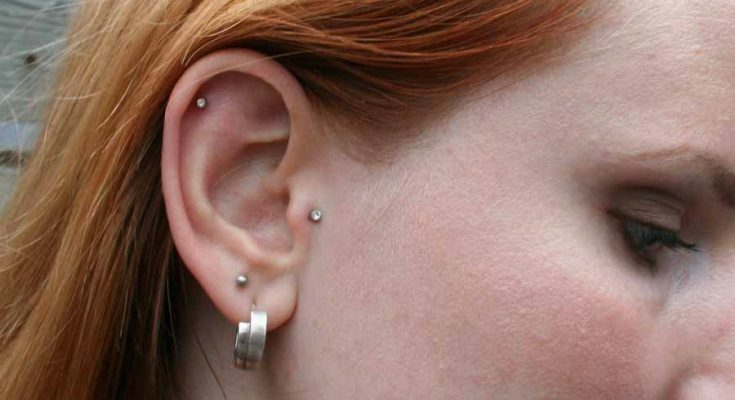 Does Tragus Piercing Hurt, Cause Pains or Migraine? Of course, any kind of piercing in the body parts whether it is created to insert rings or piece of jewellery hurts no matter how little. Even injection hurts so why not but it all depends on your threshold to endure or tolerate needle pains. Therefore if you are a pain sucker or the kind that is less sensitive to pain, then you will be able to go through the procedure without a hassle. But the fact that you don’t have much tolerance for pain doesn’t mean that the tragus piercing won’t be obtainable. All you need is braving the pain for a second and enjoy your piercing the rest of the time since the hurt can only last for a second. Tragus piercing might look like it could inflict super pain on you but in real life, the piercing is every inch painless since it is done through the ear cartilage which is not so firm. 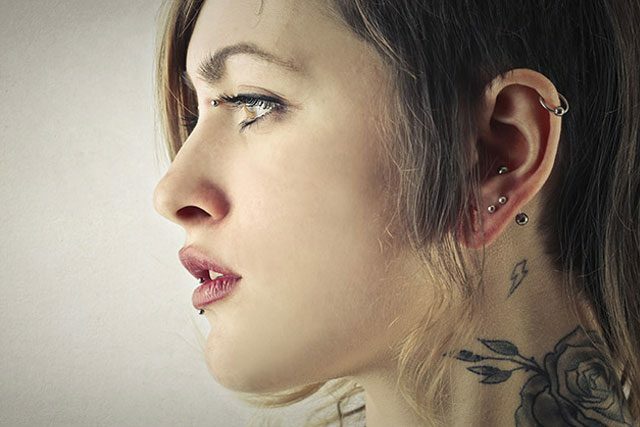 As long as the piercing isn’t to happen on the lobe, it must be through the flexible connective tissue found in the ear’s exterior. The more firm the cartilage is the more excruciating the piercing will be. Luckily, the tragus has very flexible cartilage which is why it is pain-free. So the point is, you should be more afraid when you want to pass the needle through your earlobes than when it is happening on your tragus. Apart from feeling like a sting, tragus piercing is fast and effortless. It is momentary and produces crunching sound while needle penetrates into the tragus. If you are not about endurance and not interested in absorbing the pain you can simply opt for tropical painkilling products. It can reduce the pain although some people are still sensitive to pain regardless. Just do what works for you but in all of it, avoid spray-on products which can stretch healing. If you want to get a tragus piercing, be smart enough to go to a competent person. The first reason for choosing an expert is for hygiene and secondly for health and safety. Salons of good reputation take hygiene seriously and know how to take safety measures like disinfecting the spot to be pierced with a cleanser. They also consider the size of your tragus’s cartilage before inserting the needle to avoid tearing your tragus. 5. How Is Tragus Piercing Done? First is to discover the spot, then use a marker to pinpoint and finally create a hollow with a sterile needle and then insert the jewellery. You are right to call it a brief and blissful procedure that doesn’t take time. Alcohol indulgence a night before visiting a piercing studio might reduce your endurance limit because you might not be feeling well. Also, you may bleed more than you should compared to when you’re not intoxicated. Eating clean and healthy can never be wrong no matter the type of procedure you are going to get as long as they have to do with your body. In a similar way, eating healthy will always be a good idea for creating a jewellery hole on your tragus. Decide on the type of piercing you are going to get and make up your mind to do it. Ignore the alleged pain. Like we mentioned earlier, you are only going to get a stinging reaction and nothing more than that. You might want to read up about tragus piercing ahead of time. This way, you will have a good knowledge of the steps involved, and what to expect. In addition to that, reading will help you get over the anxiety or fear that you might probably have over the piercing.